Mother’s Day is one of the biggest commercial holidays of the year. Thanks to companies like Hallmark and the power of collective guilt, in 2015 the average consumer spent $173 on Mother’s Day gifts. The holiday has expanded from mothers to wives, daughters, sisters, grandmothers—women in general. The challenge, therefore, is figuring out how to develop Mother’s Day marketing ideas for this larger population. 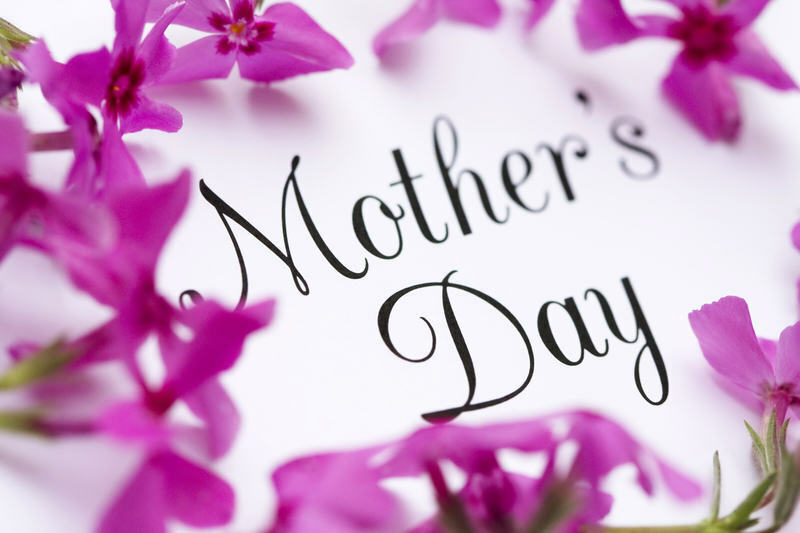 Developing a Mother’s Day marketing strategy before the holiday is integral to your success. With an increased focus on online shopping, three in 10 shoppers will buy a Mother’s Day gift online this year, using mobile phones to research and purchase their gifts. By developing a mobile-focused and forward-looking approach to Mother’s Day advertising, your brand can succeed this year. Marketers use conventional techniques around holidays like Mother’s Day to entice shoppers, including free shipping (55%), price cuts (44%), and coupons (41%). Mother’s Day video marketing campaigns like Proctor & Gamble’s 2016 Olympic Games’ ad employ emotional techniques, invoking the bond between mother and child. This Mother’s Day marketing strategy displays the strength of mothers and how they help their children succeed. Developing Mother’s day video marketing campaigns can be extremely successful, as videos like this can perform up to 20% better than similar as placements. This P&G ad has over 22 million views at the time of publication. The ad shows Olympic athletes’ mothers helped them in their journeys to the Rio games, comforted them in times of struggle, and supported them through everything. When creating Mother’s Day video advertising ideas for your product or brand, attempt to play on the feelings of the audience—the connection between mother and child, or wife and husband. By utilizing emotional advertising techniques, you can capture market share and increase your sales around Mother’s Day. No matter the season or holiday, consumers love contests and giveaways. You can utilize sweepstakes and giveaways around products you’re promoting to drum up excitement for your Mother’s Day sales and marketing efforts. Tie your special or contest into the items you’re trying to sell, such as beauty products, chocolates, or flowers for mom. Offering a high-value prize, like a spa day or a vacation package for two, can get customers talking about your brand. This type of Mother’s Day marketing strategy can be an excellent way to get email sign-ups for your mailing list as well. When creating Mother’s Day marketing, focus your deals and promotions on specific gifts for Mother’s Day. Remember that Mother’s Day goes beyond gift-giving for mothers–to aunts, sisters, grandmothers, wives, and even daughters. You can create Mother’s Day packages targeting specific segments of the population, as well as those to whom they want to give the gift. Nostalgia is a powerful factor in driving customer engagement—whether it’s a child buying their mother a gift that’s reminiscent of a good time in their lives or a husband giving his wife a gift reminding them of how happy they are to be parents. Utilize social media to promote your Mother’s Day gift packages—Pinterest and Instagram are the most popular social media platforms for Mother’s Day. Before beginning an email marketing campaign for Mother’s Day, it’s important to segment your email lists and create email content that speaks to your individual customer bases. As Mother’s Day is a diverse holiday, create well-crafted emails targeting those who plan far in advance—in addition to emails for last-minute gifts will allow you to maximize your email list. Simply starting email subject lines with “Mother’s Day” will also increase your success, as titles that start with the holiday phrase have a 16% higher engagement rate than those that include the phrase later in the line. By segmenting your lists, using Mother’s Day-front loaded subject headings, and writing original emails, you can succeed in capturing market share during the holiday. To make an impression this Mother’s Day, work with your PPC team to create a campaign several weeks before the holiday. Make sure to update relevant ad copy for Mother’s Day product categories and talk to your team about prioritizing bids for Mother’s day product categories, including popular gifts and presents. A smart Mother’s Day PPC marketing strategy would be to start with low bids on broad queries and then segment and monitor engagement to accurately remarket to likely customers. 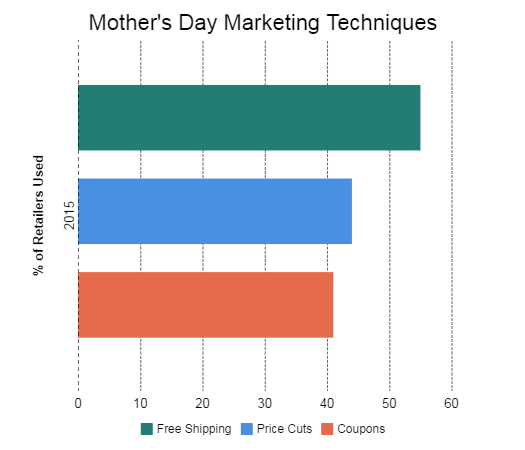 Advise your PPC team to save ad dollars for last-minute Mother’s Day shoppers as well. By using these techniques and other Mother’s Day advertising ideas, you can increase your sales and build goodwill towards your brand. Mother’s Day grows each year, with spending reaching $21.2 billion in 2015. Grab a slice of the pie by utilizing these marketing strategies. If you need help with your Mother’s Day advertising strategies, the Leverage Marketing team can help you develop a plan to increase your sales and website reach. Sign up for our newsletter to stay up to date on the latest news in the digital marketing world from Leverage.